The New York Giants have placed cornerback Valentino Blake on the Exempt/Left Squad List. To fill that roster spot, the team signed defensive Tim Scott. The 5’11”, 195-pound Scott was originally signed as a rookie free agent by the Dallas Cowboys after the 2015 NFL Draft. He spent time with the Cowboys, Cleveland Browns, and Washington Redskins in 2015, but he did not play in a game and was out of the NFL in 2016. The Giants signed Blake as an unrestricted free agent in March 2017. Blake was originally signed as an undrafted rookie free agent by the Jacksonville Jaguars after the 2012 NFL Draft. He has spent time with the Jaguars (2012), Pittsburgh Steelers (2013-2015), and and Tennessee Titans (2016). In five seasons, Blake has played in 78 regular-season games with 18 starts (16 of which came with the Steelers in 2015 when he was credited with 12 pass break-ups and two interceptions). Wide receiver Odell Beckham, Jr. (ankle), wide receiver Brandon Marshall (shoulder), wide receiver Dwayne Harris (upper body), wide receiver Tavarres King (ankle), linebacker Keenan Robinson (concussion), and cornerback Michael Hunter (concussion). Cornerback Eli Apple (ankle), linebacker Mark Herzlich (stinger), and linebacker J.T. Thomas (knee) were limited. There is no media availability to the Giants on Friday. The team plays the New York Jets on Saturday at 7:00PM. The New York Giants have waived offensive linemen Michael Bowie and Corin Brooks. They also waived/injured wide receivers Darius Powe (hamstring) and Andrew Turzilli (hamstring). To fill those roster spots, the Giants signed guard Matt Rotheram and Richard Levy, and wide receivers Marquis Bundy and C.J. Germany. Though not officially announced by the team, the NFL transaction wire is also showing that cornerback Valentino Blake has been placed on the Exempt/Left Squad List. The 6’5”, 325-pound Rotheram was originally signed as a rookie free agent by the Green Bay Packers after the 2015 NFL Draft. He has spent time with the Packers, Philadelphia Eagles, and Detroit Lions. The Lions waived Rotherman last week. The 6’6”, 315-pound Levy was originally signed by the San Francisco 49ers as a rookie free agent after the 2017 NFL Draft. The 49ers cut him on earlier this month. The 6’4”, 215-pound Bundy was originally signed as a rookie free agent by the Arizona Cardinals after the 2016 NFL Draft. The Cardinals waived him last week. The 5’11”, 180-pound Germany was originally signed as a rookie free agent by the Los Angeles Rams after the 2017 NFL Draft. The Rams waived him last week. Michael Bowie was signed by the Giants to a reserve/future contract in January 2017. Bowie was originally drafted in the Seattle Seahawks in the 7th round of the 2013 NFL Draft. He played in nine games with eight starts as a rookie. Bowie was waived in August 2014 and claimed by the Cleveland Browns. Bowie had shoulder issues in Cleveland and did not play in a regular-season game. The Browns placed him on the reserve/retired list in August 2016 and cut him in September 2016. Corin Brooks was signed by the Giants as an undrafted rookie free agent in August 2017. Brooks was signed by the Kansas City Chiefs after the 2017 NFL Draft but waived in June. The Giants originally signed Powe as an undrafted rookie free agent after the 2016 NFL Draft and he spent his rookie season on the team’s practice squad. The Giants signed Andrew Turzilli in August 2017. Turzilli was originally signed as an undrafted rookie free agent by the Tennessee Titans after the 2015 NFL Draft. He has spent time with the Titans (2015), San Francisco 49ers (2015), and Detroit Lions (2016-2017), but he only played in three NFL games. The Lions waived him in May. Wide receiver Odell Beckham, Jr. (ankle), wide receiver Brandon Marshall (shoulder), wide receiver Dwayne Harris (upper body), wide receiver Tavarres King (ankle), linebacker Keenan Robinson (concussion), cornerback Michael Hunter (concussion), and cornerback Valentino Blake (unknown) did not practice. The Giants practice on Thursday at 11:20AM. ESPN is reporting that New York Giants linebacker J.T. Thomas has accepted a pay cut. His 2017 base salary has been reduced from $2,975,000 to $775,000. He now has a roster bonus of $20,000 and will earn $400,000 in incentives if he plays 70 percent of snaps or more. Wide receiver Dwayne Harris (upper body soreness), wide receiver Darius Powe (hamstring), wide receiver Kevin Snead (lower body), linebacker Mark Herzlich (stinger), and cornerback Eli Apple (ankle) did not practice. 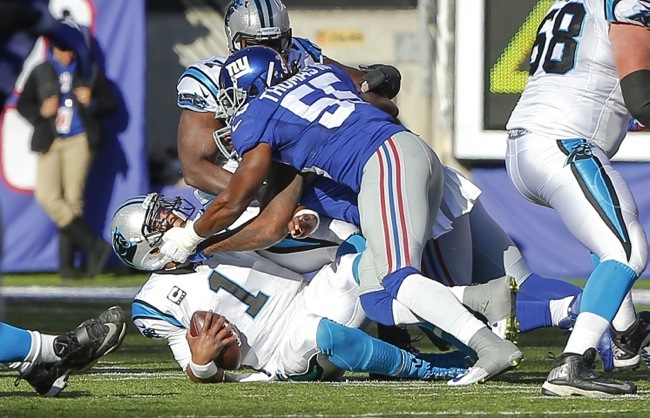 “(Apple) felt his ankle a little bit, so we were precautionary with it,” said Head Coach Ben McAdoo. Running back Shaun Draughn (ankle), linebacker J.T. Thomas (knee), and safety Duke Ihenacho (hamstring) were limited. Wide receiver Keeon Johnson left practice early with a lower body injury. PK Aldrick Rosas went 3-for-4 on field goal attempts. FB Shane Smith was promoted to first-team punt coverage and punt-return special teams units, now working with all four special teams units. He also received first-team reps at fullback. The Giants practice on Friday at 11:20AM. The team’s coordinators will also address the press. According to NFL Player Association records, New York Giants running back Shane Vereen has accepted a $1 million pay cut to his 2017 salary. Vereen’s salary was reduced from $3.15 million to $2.15 million. 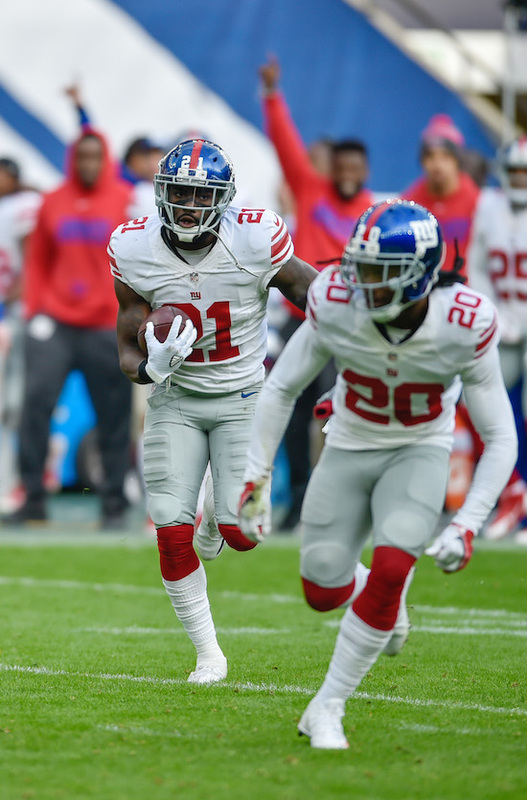 NJ.com is reporting that the reduction “is a straight pay cut with no incentives added to his contract to make up the lost income.” The Giants recently paid him a $500,000 roster bonus that was due if he remained on the team. Vereen is in the final year of his current contract. (Late Corrrection: The NFL Network is reporting that in exchange for the $1 million salary reduction, Vereen can earn that back plus $250,000 through incentives). Vereen was placed on Injured Reserve (IR) in September 2016 with a triceps injury that required surgery, activated back off of IR in December, and then placed on IR again that same month after re-injuring his triceps and needing surgery again. In all, Vereen played in just five games in 2016 and finished the season with 33 rushes for 158 yards (4.8 yards per carry) and 11 catches for 94 yards. Vereen was originally selected in the 2nd round of the 2011 NFL Draft by the New England Patriots. The Giants signed him as a free agent in March 2015. 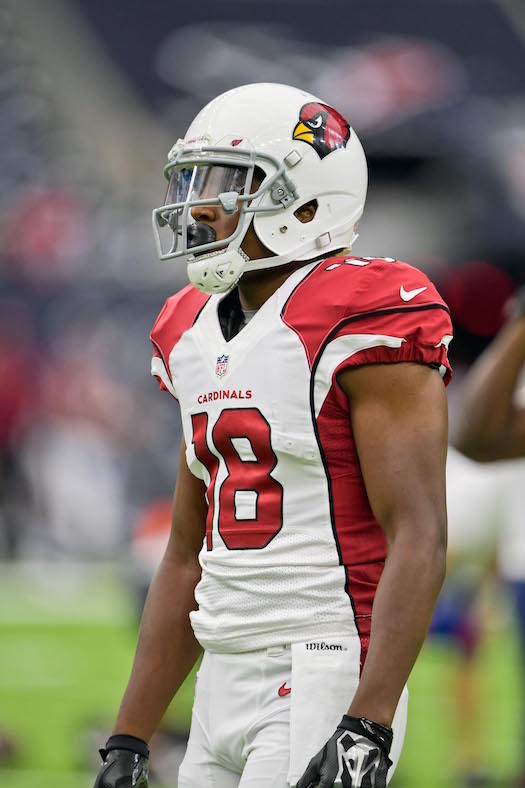 In 2015, serving as the team’s third-down back and playing in all 16 games with no starts, Vereen had his most productive year in the NFL as a pass receiver. He caught a career-high 59 passes for 495 yards and four touchdowns. It was the most receptions by a Giants running back in a single season since Tiki Barber. Vereen also carried the ball 61 times for 260 yards (4.3 yards per carry). 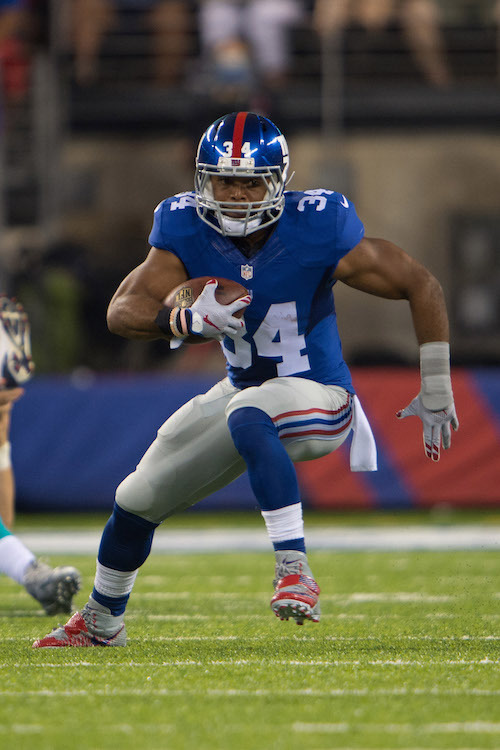 Vereen lacks ideal size and power, but he is an elusive back with good vision and quickness. Vereen is one of the better pass-catching backs in the NFL as he runs good routes and has good hands. He is also solid in pass protection. Vereen has proven to be somewhat injury prone. 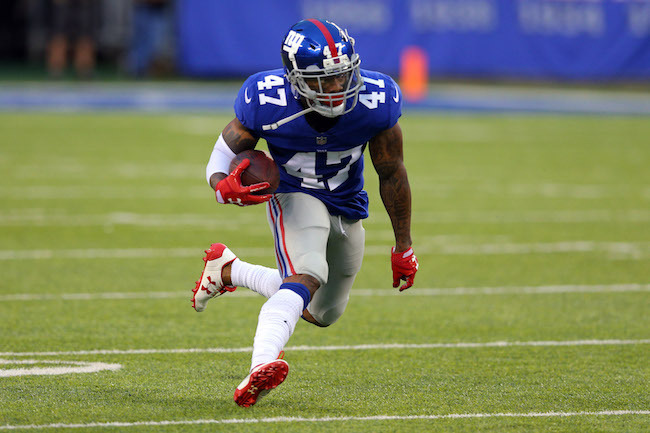 The New York Giants officially announced that the team signed unrestricted free agent running back Shaun Draughn (San Francisco 49ers) on Wednesday. The 29-year Draughn was originally signed as an undrafted rookie free agent by the Washington Redskins after the 2011 NFL Draft. He has spent time with the Redskins (2011), Kansas City Chiefs (2011–2012), Baltimore Ravens (2013), Indianapolis Colts (2013), Chicago Bears (2014), San Diego Chargers (2014), Cleveland Browns (2014–2015), and San Francisco 49ers (2015-2016). In six seasons, Draughn has played in 57 regular-season games with seven starts (all seven coming with the 49ers in the last two years). For his career, Draughn has rushed the ball 225 times for 723 yards (3.2 yards per carry) and seven touchdowns. He also 80 catches for 597 yards and two touchdowns. Draughn has ordinary size (5’11”, 205 pounds), but he is a tough, hard-nosed cut-back runner who can move the chains in short yardage and catch the football. He is a good special teams player. Video of an exclusive Giants Insider interview with Draughn is available at Giants.com. 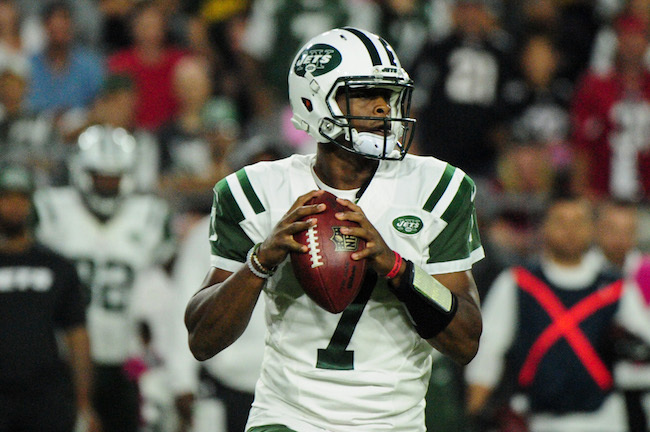 The New York Giants have officially announced that they have signed unrestricted free agents quarterback Geno Smith (New York Jets) and cornerback Valentino Blake (Tennessee Titans). The team has also officially re-signed unrestricted free agent linebacker Mark Herzlich. Smith reportedly signed a 1-year, $2 million contract. “Geno has a great, positive attitude, and he’s looking forward to learning and competing in our QB room,” said General Manager Jerry Reese. “I think the opportunity to learn from (quarterbacks) coach (Frank) Cignetti, coach (Ben) McAdoo, and to be alongside Eli (Manning) and learn from him, a two-time Super Bowl champion and, in my opinion, a Hall of Fame quarterback,” Smith said. “I think it will work out tremendously for me. And it’s also an opportunity to be on a real good team, a winning team, get healthy – it’s just a perfect scenario for me. I couldn’t have written it up any better myself. Smith tore the ACL in his right knee in October 2016. “Right now, it’s doing great,” he said. “We’re being cautious. But I’m at that stage where I’m feeling healthy enough that I can push it. But I have to be smart about it and not do anything that will cause me setbacks. The 26-year old Smith was originally drafted in the 2nd round of the 2013 NFL Draft by the New York Jets. Smith has started 30 regular-seasons games, with 29 of those starts coming in 2013-2014. He lost his starting job to Ryan Fitzpatrick in August 2015 after his jaw was broken by a teammate. Smith started one game in 2016 but tore the ACL in his right knee in that game. Smith has completed 57.9 percent of his passes for 5,962 yards, 28 touchdowns, and 36 interceptions. Smith has good size and is a good athlete with a strong arm. He has struggled with his accuracy and mental aspects of the game. Smith needs to protect the ball better (36 interceptions, 7 fumbles). He also has had some off-the-field immaturity issues. The 26-year old Blake was originally signed as an undrafted rookie free agent by the Jacksonville Jaguars after the 2012 NFL Draft. He has spent time with the Jaguars (2012), Pittsburgh Steelers (2013-2015), and and Tennessee Titans (2016). In five seasons, Blake has played in 78 regular-season games with 18 starts (16 of which came with the Steelers in 2015 when he was credited with 12 pass break-ups and two interceptions). Blake is a short but well-built corner with very good speed. He has experience in playing the nickel slot position, but he is not regarded as a good cover corner. Blake is a good gunner on special teams (38 career special teams tackles), but he has had lapses of on-field judgement. Herzlich remains primarily a reserve linebacker and special teams player who occasionally is called upon to play on defense (one percent of defensive snaps in 2016). Herzlich played in 14 regular-season games, missing two with a concussion. He finished with seven tackles on defense. Herzlich was signed as an undrafted rookie free agent after the 2011 NFL Draft. He has started 17 regular-season games in his six seasons with the Giants, eight of which were in 2014. Herzlich has very good size but is a sub-par athlete for the position. He is a good run defender, but struggles in coverage and is not much of a blitzer. Herzlich is a good special teams player. For a listing of all of the team’s free agent activity, see the New York Giants 2017 Free Agency Scorecard section of the website. The Pittsburgh Steelers have signed unrestricted free agent cornerback Coty Sensabaugh from the New York Giants to a 2-year contract. Sensabaugh was signed by the Giants in October 2016 after he was waived by the Los Angeles Rams. He played in 10 regular-season games with no starts and finished the year with 15 tackles. Sensabaugh was originally drafted in the 4th round of the 2012 NFL Draft by the Tennessee Titans. The Rams signed him to a 3-year, $15 million contract in March 2016. Sensabaugh has played in 72 regular-season games with 29 starts. Sensabaugh is an average-sized corner whose strength is playing the slot nickel corner spot. Sensabaugh is the third Giants free agent to leave the team this offseason, joining place kicker Robbie Gould (San Francisco 49ers) and offensive tackle Marshall Newhouse (Oakland Raiders). ESPN is reporting that unrestricted free agent linebacker Keenan Robinson (New York Giants) has visited the Buffalo Bills. Robinson also visited the Cincinnati Bengals last week. Robinson officially only started 6-of-16 regular-season games, but he was second in playing time on the team among all linebackers (71 percent of all defensive snaps). Robinson finished 2016 with 83 tackles and seven pass defenses. Robinson was originally drafted in the 4th round of the 2012 NFL Draft by the Washington Redskins, where he missed time in 2012 (four games with right pectoral tear), 2013 (entire season with left pectoral tear), 2014 (three games with a knee injury), and 2015 (four games with a shoulder injury). The Giants signed him as a free agent in March 2016. Robinson has decent size and is a good athlete who runs well. Versatile, he can play inside and outside linebacker. Robinson is more of a run-and-hit linebacker than stout run defender at the point-of-attack. Robinson is solid in pass coverage. He only has 1.5 career sacks and has been injury prone. Robinson does not make many impact plays. Under Jason Pierre-Paul's long-term contract, his cap number for 2017 is $7.25M. That created $9.705M in cap space for the Giants.